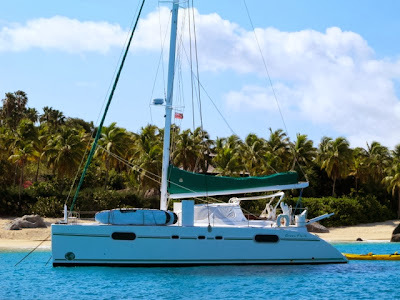 Honeymoon and Anniversary Special for this upcoming season through July 30th 2014 on board Luxury Catamaran Green Flash. 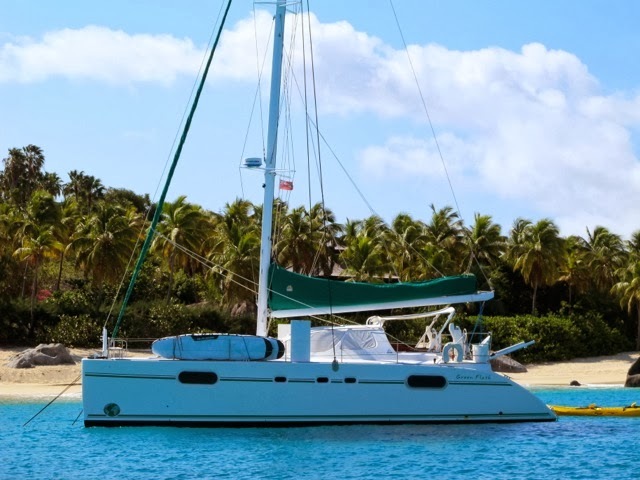 Imagine yourself sipping your favorite cocktail and eating a delectable appetizer at sunset watching for the natural phenomenon called the "Green Flash" aboard a luxurious cruising catamaran. Yacht Green Flash can take you there! GREEN FLASH can accommodate 5 guests in 3 cabins. The Master cabin suite has a queen size bed, large bathroom with full size shower and toilet. The second guest cabin has a queen size bed plus a raised single bed with private full size shower and toilet. The third cabin has two single beds appropriate for children under approximately age 15. Crew has separate shower and head.